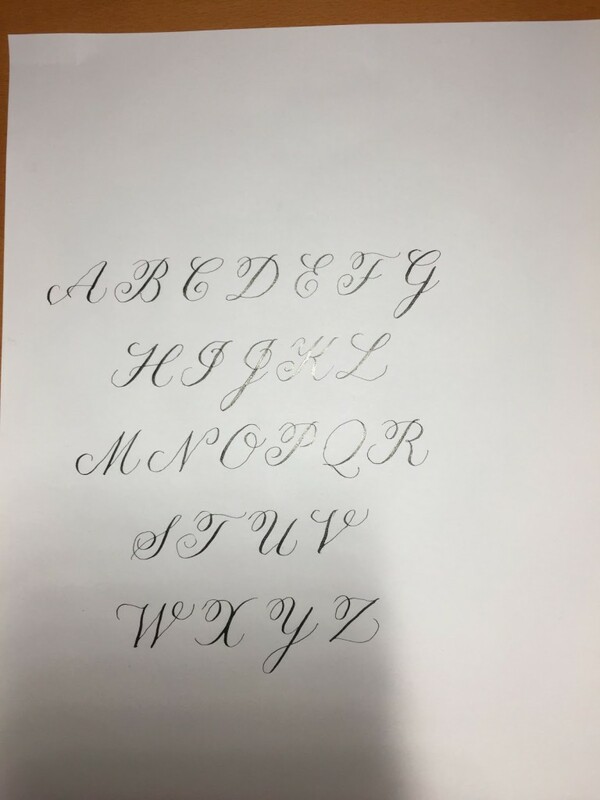 Over the past two weeks, I have finished learning about the basics of Copperplate Script. 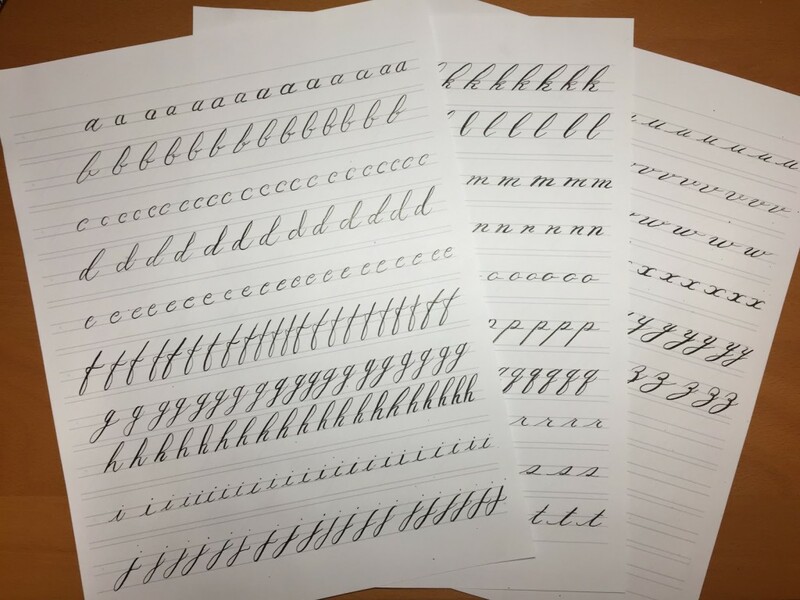 In my last mentoring session, Liza (my mentor) and I went over capital letters for Copperplate, connectors for lowercase letters, and started on the writing of complete words and sentences. 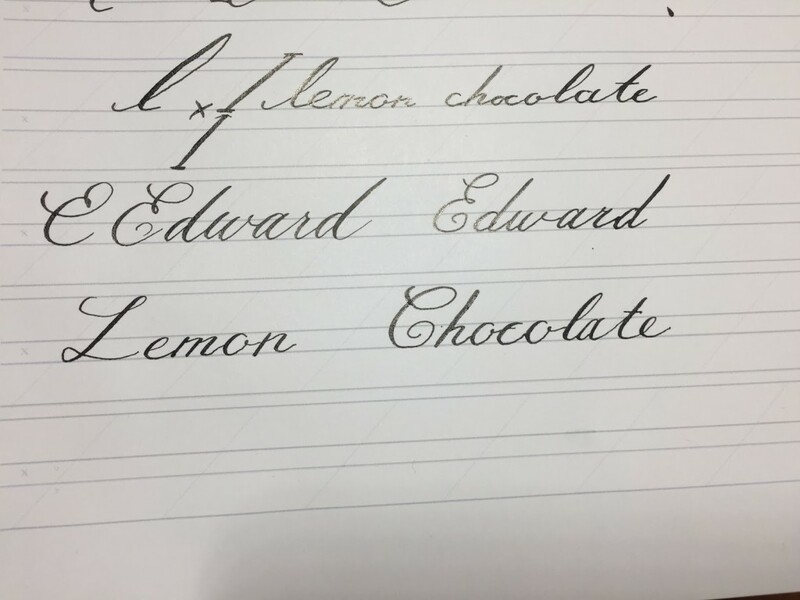 This was my last mentorship lesson that included Copperplate Script. From now on, I have to practice Copperplate on my own, and will learn about modern calligraphy in the next mentorship sessions. When meeting with Liza Child, I was able to apply some of De Bono’s recommendations. 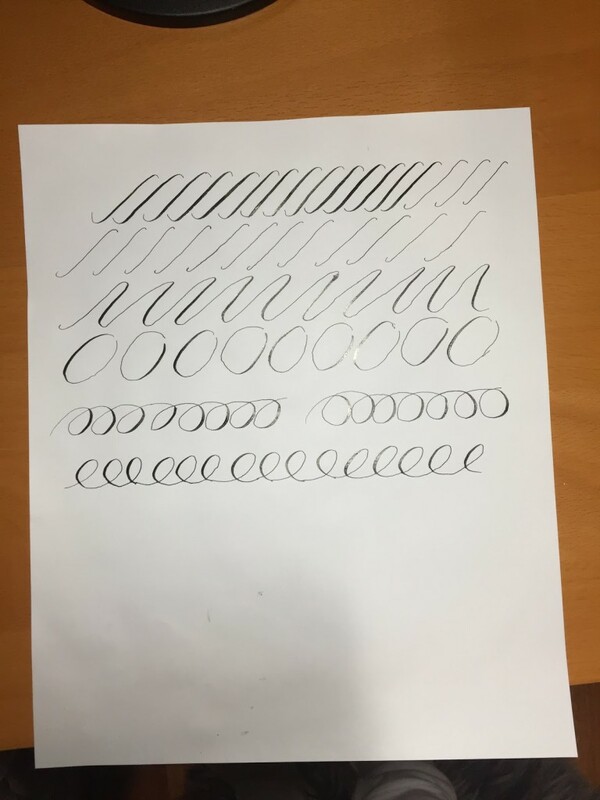 I made sure to probe into topics that I was interested in and in which I felt like I needed to ask about to gain a better understanding of calligraphy. As discussed in my previous blog post, there is more than one type of letter shape per letter. I asked about which letter shapes are used in what scenarios. Liza answered with “sometimes it depends on the connector that you’re using, but most of the time it’s just personal preference”. She also introduced a new view on concentration during our mentoring sessions. One thing that we both agreed on is that calligraphy takes a lot of concentration. However, she had a different point of view from me on how to achieve that concentration, as she thought that listening to music improved concentration. I on the other hand, always thought that music distracted me from things that needed concentration. Yet, when she played some music during our mentorship session, I was pleasantly surprised to see that it didn’t bother me at all. In fact, it helped me relax and get into the right, Zen-type, mood I needed to be in to properly do calligraphy. 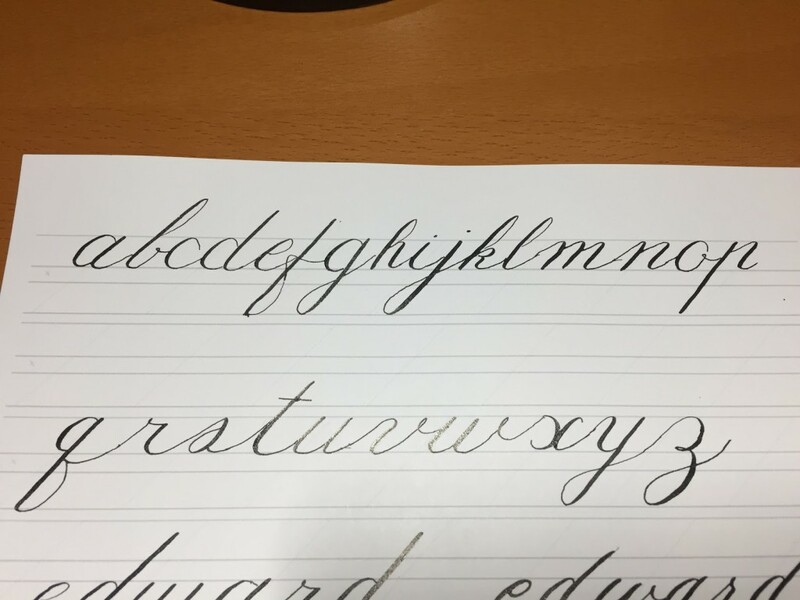 Currently, I am finishing up my practice with Copperplate Script, and getting ready for my next mentorship session in which I will be learning Modern Calligraphy.